What is happening in this picture? Describe it to someone who can’t see it. What is the boy doing? Why? What is he imagining? Why is he imagining this while he’s in the bathroom? Where did the sword come from? How is the man feeling? Do you think their bath times are usually like this? Add speech bubbles to the image. 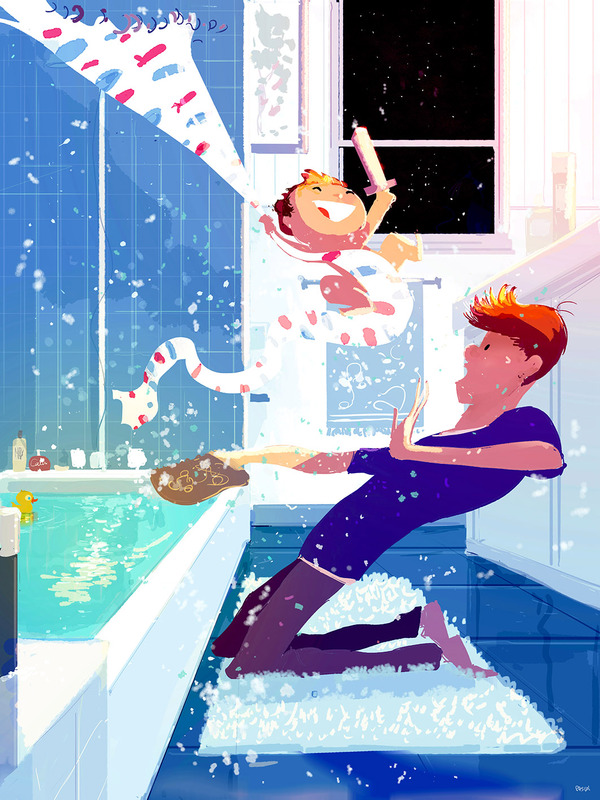 Write about imaginary adventures in the bath – will your character become a pirate? Will they visit Atlantis? Will they meet merpeople? Perhaps they’ll come face to face with a shark!